Click here to order your personalised book. "Master Photographer's Lith Printing Course". Tim Rudman's original book on Lith printing, The Master Photographer's Lith Printing Course, is still universally recognised as the number one authoritative work on the subject of Lith printing, exploring the process's unique ability to produce either strongly graphic or exquisitely delicate prints that respond beautifully to toning. Since it was first published, in 1998, the techniques revealed and explained have gone on to attract an ever growing number of followers, and Tim is largely credited with the current popularity of this creative technique. Since The Master Photographer's Lith Printing Course was released, there have been significant changes and developments in the world of Lith printing - materials and techniques for 'traditional' lith printing have come and gone, and new digital methods have been introduced, which either simulate the process or in other ways further expand its creative potential. Tim's original work is still highly relevant today, but the field has moved on considerably and a vacuum has been created in the published knowledge available. 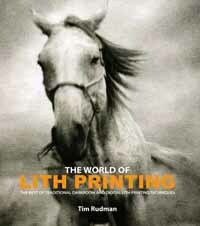 Tim's new book, The World of Lith Printing, was conceived to be the ultimate companion to his original work by tackling these new developments and bringing the Lith printing community up to date with techniques, materials and references. This new book is not an updated version of the Master Photographers Lith Printing Course... it's a companion to it. It is also about bringing the Lith printing community together. Recognising the fact that after information and instruction we require insight and inspiration, The World of Lith Printing includes invited portfolios by leading practitioners from around the world. They show what can be achieved by adopting their very different approaches to lith printing, both traditional and digital, as well as explaining how the various effects have been achieved. This Guest Portfolio section is supplemented with a Gallery, which exhibits an international selection of work from professional and amateur photographers and printers. The Lith Forum that follows is a collection of tips, tricks and ideas from both guest contributors and open submissions and aims to provide an insight into the different ways that people from many countries have adapted this creative process. To provide a much-needed update on Lith printing materials and techniques, illustrated using image portfolios from specially invited international guest contributors. To explore the application of digital techniques, both in traditional Lith printing and in its digital simulation. To showcase Lith prints from around the world selected from open submission. To contain a Forum for collecting and sharing submitted techniques & ideas. To act as a contact resource for those interested in Lith printing, or its digital equivalent, and for commercial image users. To be an international showcase of work, giving inspiration, instruction and insight to readers. To provide a list of internet sites concerned with Lith and digital Lith printing. To act as a companion book and update reference to The Master Photographer's Lith Printing Course. 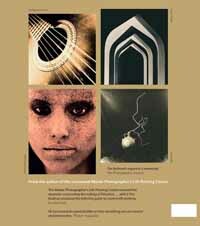 "Master Photographer's Lith Printing Course"